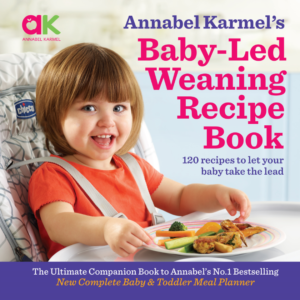 Kayley, the mummy behind the ever popular Friendly First Foods blog tells us all about her experiences with baby led weaning her little one Harry. When I was pregnant with Harry I had all these grand ideas of what kind of parent I would be and what our feeding journey would look like. What I didn’t count on was Harry having his own ideas about this and that, as parents, we would end up following his lead, rather than the other way around. None of our plans came out exactly as we had hoped but over time we realised that actually, that was probably for the best! Harry was a hungry baby, a really hungry baby! From his first tastes he loved food and wanted as much as he could get. We had planned to do baby led weaning and go straight to finger foods, with no purees or spoon feeding but Harry had other ideas. We did start with first tastes of steamed vegetables (finger foods) which he really enjoyed. Gradually we built this up, adding more variety, until after a few weeks he was eating three times a day. Although we never pureed food and he did remarkably well with finger food Harry became frustrated easily as he couldn’t get as much food as he wanted this way. He would lean forwards towards me with his mouth open, his way of asking for help, so I helped him. We spoon fed things that we would spoon feed ourselves, such as Weetabix or yogurt and let him feed himself other solid foods. It put us in a funny position where we didn’t really fall into a specific weaning ‘category’. We weren’t doing baby led weaning as we were supporting with spoons but we weren’t doing traditional weaning either as he mostly self -fed with finger foods and we didn’t progress from puree to mashed foods to solids. We received criticism from people who wanted us to fit in one camp or the other, which was hard at times, but we stood firm that what we were doing was right for our son. We decided to continue with our ‘Harry led weaning’ style and I can now say with some confidence that we made the right choice in trusting his cues and our parenting instincts. Our son is a fantastic eater. He loves vegetables and we have regular tantrums because he wants more peas! He is keen to try new things and loves the social aspect of eating as a family. Now at almost 2 years old we have a new set of foodie challenges to face. He is starting to assert himself and, “no like it” has become part of his vocabulary, I’ve got a feeling this will be something I hear more and more frequently over the next few months but I’m ready for the challenge and confident that, with healthy eating habits firmly in place, he will continue to grow up enjoying a healthy, balanced diet. Weaning Harry has taught me so much and the best advice I could give anyone would be to trust your instinct and follow your baby’s lead. Don’t worry about following one rule book or another, babies certainly don’t. Educate yourself as much as you can and pick the bits from different weaning styles that suit you and your child. We are about to have our second baby and I fully anticipate weaning being completely different with its own unique set of challenges, after all each child is unique and one size does not always fit all. We will face new struggles and find new roads to success, but you know what, I can’t wait for that new journey to begin. Kayley is the mum behind FriendlyFirstFoods.co.uk, where she shares her favourite recipes and weaning tales. She lives in Stockport with Harry and her husband Alistair.